The Federal Budget 2019-20 announced last night by Treasurer Josh Frydenberg had a strong focus on reaching a budget surplus. With additional allocations for home care and residential aged care, as well as the launch of the National Plan to Respond to the Abuse of Older Australians, the Government is looking to ensure older Australians have access to high-quality and safe aged care. While the budget has highlighted some funding priorities to strengthen the safety and quality of Australia’s aged care system, aged care industry and consumer peak bodies say it’s a missed opportunity to meet the needs of Australia’s ageing population. What’s in the Budget for older Australians? Total funding for aged care is estimated to increase by $3.7 billion from $21.6 billion in 2019-20 to $25.4 billion in 2022-23, helping to ensure quality and safe care. To support older Australians who choose to remain in their own homes for longer, the Government is providing $282.4 million for 10,000 home care packages and increasing home care supplements for dementia and cognition. $185 million investment in the Ageing and Aged Care and Dementia Mission of the Health and Medical Research Future Fund. A $320 million general subsidy boost in 2018-19 and 13,500 new residential aged care places across Australia. 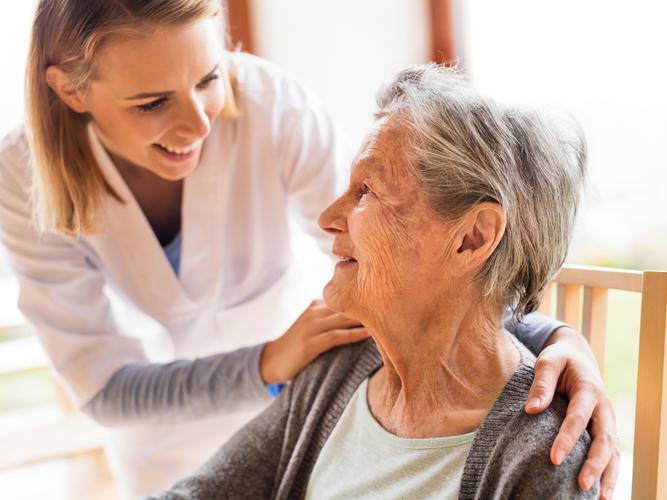 A $60 million capital works program will help aged care providers to construct new, or upgrade existing, residential services — with a particular focus on rural and regional locations. $1.5 million for mandatory reporting against national care quality indicators and developing a Serious Incident Response Scheme to improve the safety and quality of aged care. An additional $84.3 million for the Integrated Carer Support Service to support young carers by assisting with transport, cooking and cleaning costs, as well as education and training. Removal of the work test for superannuation payments for Australians aged 65 and 66 years old, creating a more flexible approach to retirement. $1.1 billion investment into Primary Health Care, maintaining the current incentive for general practitioners to treat older Australians in residential aged care. $2.6 million to implement the Aged Care Workforce Strategy. $5.6 million to improve the compliance framework for the quality and safety of home care services. A National Plan to Respond to the Abuse of Older Australians, including $18 million to support frontline services and a new National Hotline (1800 ELDERHelp or 1800 353 374). Industry and consumer peak bodies are responding to the funding priorities and what this means for the future of aged care in Australia. Read their response here.